Let’s start by saying you are a computer geek. All your assignments, tasks and personal work are in soft-copy. Now all you need to manage your documents is abundant memory space, which often becomes a clutter on Windows computer. You happen to have several important documents, some unimportant ones, junk and obsolete files, redundant files and duplicates files. So apart from your ‘important documents’, there are various other files eating up memory space on your system. More often, while maintaining and securing this data, you often create duplicate copies of important files. For today, we’ll help you find and remove duplicate files from your system. What are Duplicate Files and how they are created? Before we proceed any further, lets understand what are duplicate files and how they created. These are files with exact match content, size, and extension and other specification. Sometimes, you unknowingly download same stuff multiple times and others you intentionally create them. This might be for several purposes, say to want have backup of any file or categorizing your documents. Nevertheless, whichever be the purpose, such files end up eating twice the space you’d otherwise invest in any document. How to find and remove duplicate files from your system? In order to find and remove duplicate files from your system, you’ll have to carefully analyze your data. If have multiple disk on your system, then the task would be little more complicated for you. However, you can follow these steps to find and remove duplicate files from your system. ==>1. Begin by creating a folder on your desktop with the name ‘Duplicates’. ==>2. Now separate all files and folders according to the file type. For example- keep all documents in one folder, pictures in another, audio in yet another and so on. This will help you analyze your data with utter care. ==>3. After this has been done, you should look for duplicate files in these categorized folders. ==>4. Now when you come across any duplicate file, simple right click> cut> and paste in ‘Duplicates’ folder on desktop. ==>5. When all folders are checked and duplicates are detected, delete ‘Duplicates’ folder from desktop and then from Recycle bin. You can even simply Shift+Delete the ‘Duplicates’ folder to permanently delete it in one go. These duplicates, down the line hog space on the memory and cling as a clutter on it. This issue can effortlessly be handled with a duplicate media fixer tool. There are plenty of tools available for the same such as Duplicate Files Fixer, Duplicate Cleaner, Duplicate File Finder, etc. 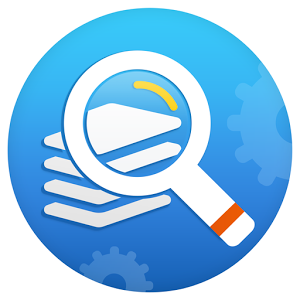 These tools scan your system for duplicate content, detect them, let you mark duplicates and delete them all in a click. While the above mentioned process seems dreary and onerous, you can opt for a handy tool to delete duplicates from your system. Why you should opt a duplicate files cleaner tool over manual method? ==>They are more accurate than manual detection. ==>They help you recover chunks of storage space in a click. Duplicate files are nothing more than a litter on your disk. These shouldn’t find any space on your disk, for you can save more memory space and organize your data more systematically. Author Bio: Ankush Ameria is Software Analyst who loves to write on latest software and apps to boost system performance.